World's No 1 badminton player Saina Nehwal has made an investment in Noida-based Soothe Healthcare's personal care business. The ace shuttler is also the brand ambassador for Soothe Healthcare's Paree sanitary pads. Recently, the company had received funding from Reliance's former President Anil Gupta. "The company will use the money to accelerate marketing and branding activities, for brand Paree," it said in a statement. Details of the funding were not disclosed. As per estimates, the sanitary pads market is expected to grow 5 times to Rs 21,000 crore in India by 2025. Paree targets over 16 crore girls in the age group of 10-24 years. "A sanitary pad is a high social-impact product and Paree combines quality and affordability, thereby revolutionising the personal hygiene segment in women's personal care in India. 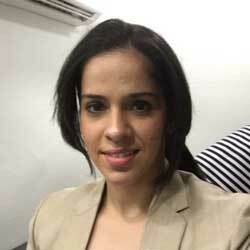 Paree has the potential of reaching every household in India and this is what sets the brand apart," Nehwal said. Sahil Dharia, CEO of Soothe Healthcare said the funding will be directed for expansion of business and branding initiatives. "Soothe Healthcare is committed to taking a leading position for affordable consumer healthcare products. Over and above earning potential, we also aim to create high social impact in society," he added.